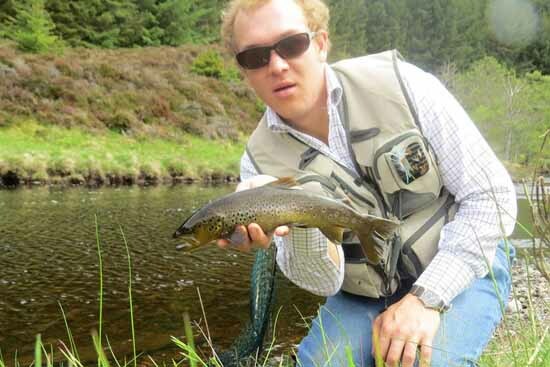 Like many Highland salmon rivers, the Alness has an excellent head of wild brown trout. 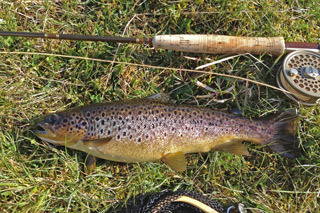 A ‘good’ trout is generally considered as ½ lb to 1 lb in size, but there are trout of up to 2 lbs in most pools, and some larger trout, though catching them is not easy. The largest trout caught on the Novar beats of the Alness in the past few years was 4 lbs. 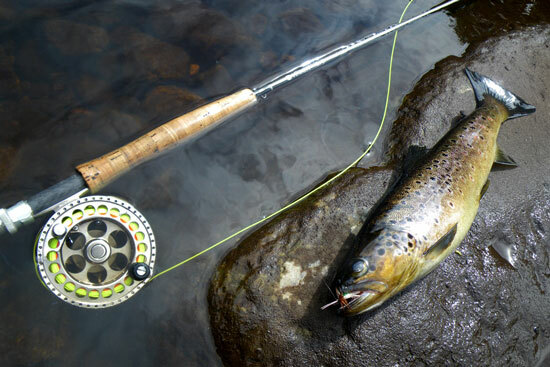 Ironically, some of the better trout are caught while salmon and sea trout fishing, particularly in high water, when they will sometimes take even the largest tube fly. 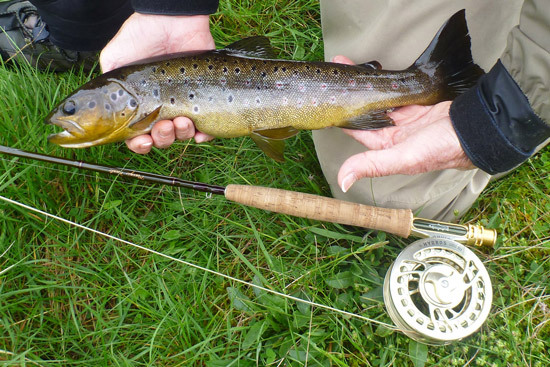 There are good trout throughout the river, but the upper beats generally fish best: the trout are more opportunistic and free rising, while in the summer months and particularly on the lower beats the trout lie in deeper pools during the day and they appear to be most active at night. 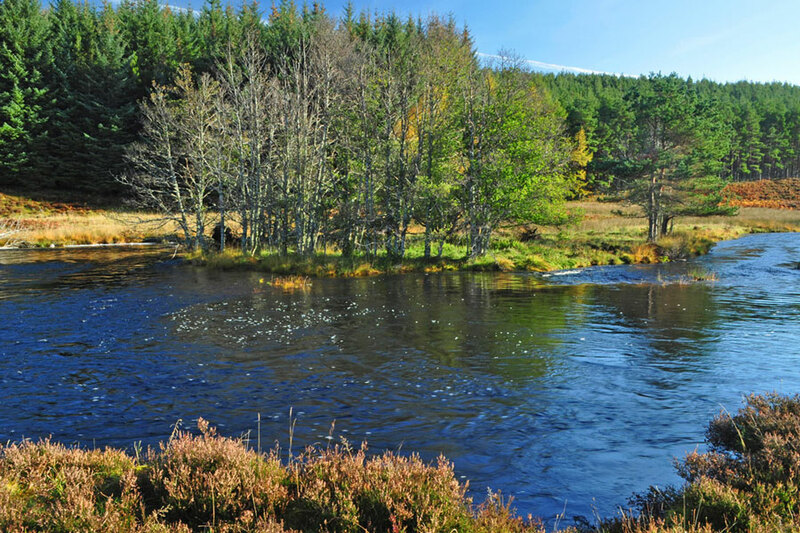 Beat 1 offers some of the most varied river conditions, with many slower gravel-bottomed pools and glides, in beautiful surroundings of heather moorland and mountain backdrop. 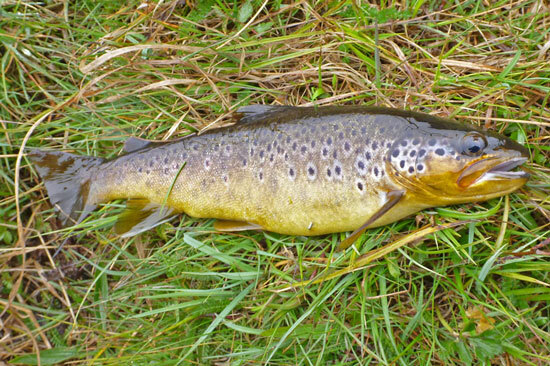 The best trout fishing is generally in the spring, particularly May and June. 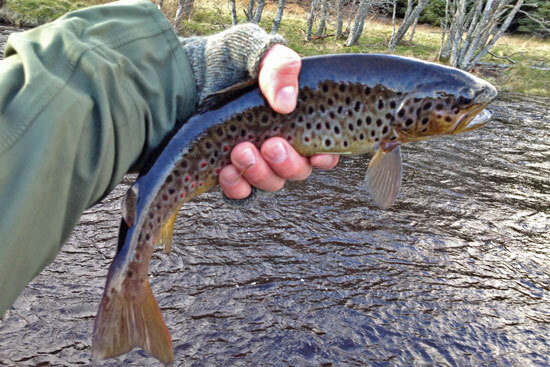 In early spring there is also a migration of larger trout from Loch Morie into the river, where food is more plentiful, returning back to the loch in early June. 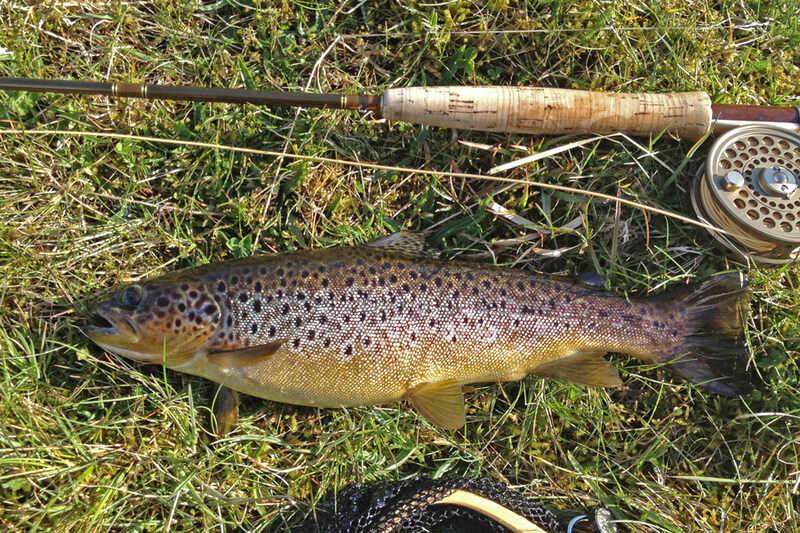 Olives (mayfly) hatch throughout the season, and upstream dry fly fishing on the upper beats in the spring with a 4 or 5-weight rod and a dry Greenwell’s Glory or Klinkhammer can be idyllic. 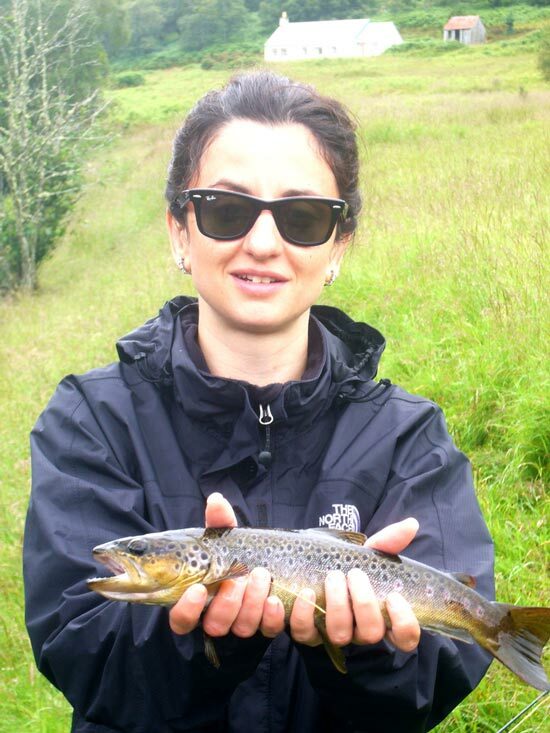 In higher water conditions a team of wet flies fished 'down and across' downstream can produce excellent results; a wet Greenwell’s always reliable to catch fish. 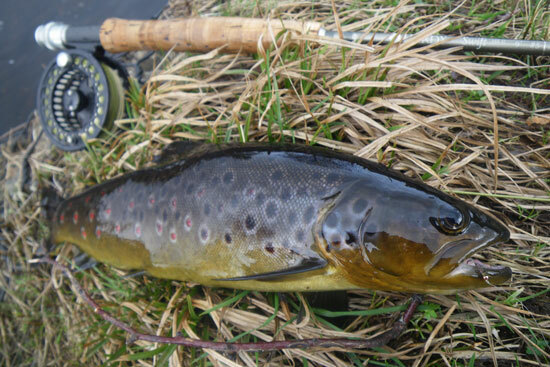 In addition to olives, there can be large hatches of sedges (caddis) in the summer and some very large stonefly on the lower beats in the spring. 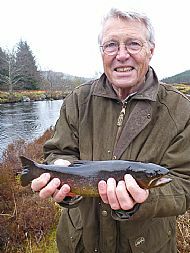 For further information and photos of the Novar beats of the River Alness, visit the Novar Fishings website. 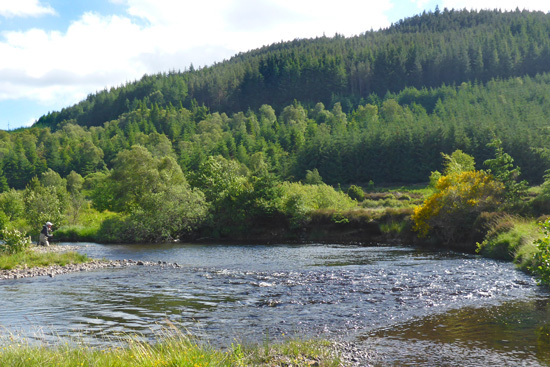 'Trout only' permits are available on the Novar rotation beats of the River Alness from mid-March until the end of June, and are priced at £20 per rod per day. 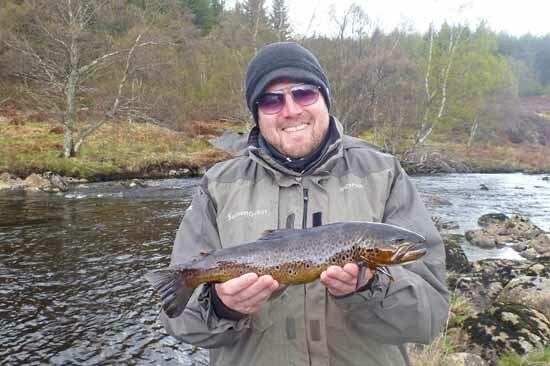 Rods are limited to 4 per beat, and an entire beat can be reserved subject to availability for just £60 per day. 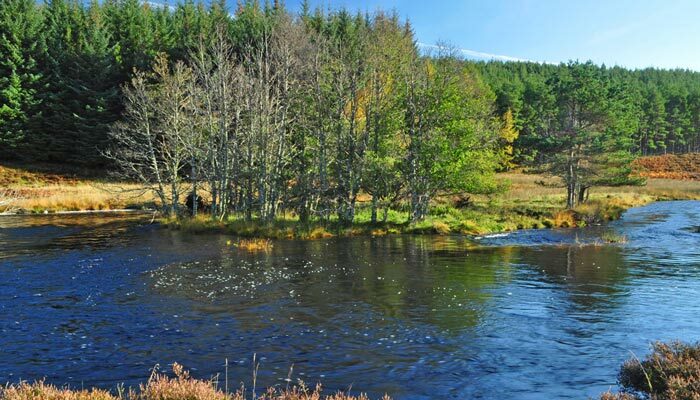 The middle section of Beat 1 can now be reserved for trout fishing throughout the summer separately to the rotating salmon beats, allowing for 2 rods. 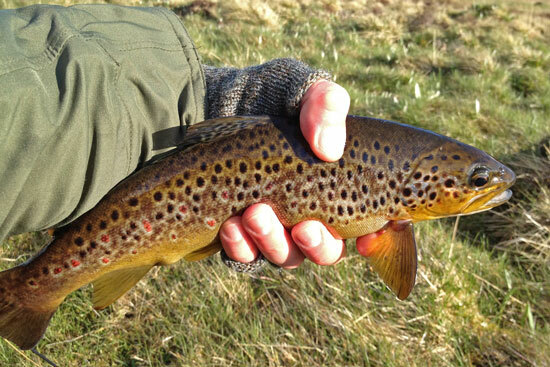 In spring and early summer, Beat 1 can be reserved for trout fishing in its entirety (a full 1.9 miles! 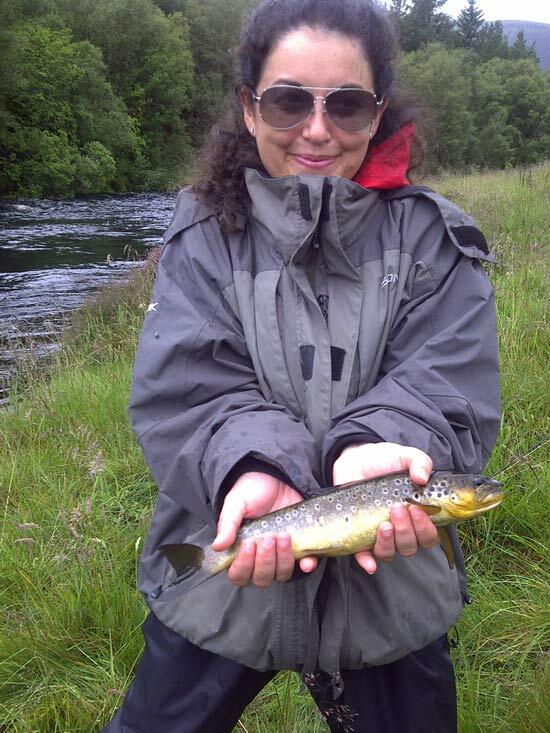 ), including the middle section, for up to 4 rods for a total of £70/day. To make a booking, call us on 01349 830606, or e-mail us from the Enquiries page.